Hey gardener, are you looking for a hobby over the long, cold winter? Grow (then eat) some sprouts. It’s the dead of winter, the gardens are covered with snow, and the holiday buzz is going silent. How can gardeners entertain themselves? Although more winter farmers markets exist than in the past, it takes effort to get local produce. What should the health-conscious locavore eat? The answer to both these questions is countertop sprouts. They are the easiest, freshest and youngest salad and sandwich greens available during cold Maine winters. The most popular sprouts are alfalfa and mung beans, but several online stores sell peas designed for sprouting, too, and you also can grow black turtle beans, arugula, radishes, cress and others, according to John Scheepers Kitchen Garden Seeds. The process is simple. Grab a canning jar and either get a screen specially made for it or use cheese cloth and a rubber band. Put in enough seed to cover the bottom of the jar, add lukewarm water and let the seeds soak overnight. Then place the jar in a dark area of your home where the temperature is about 70 degrees. Rinse the seeds twice a day. 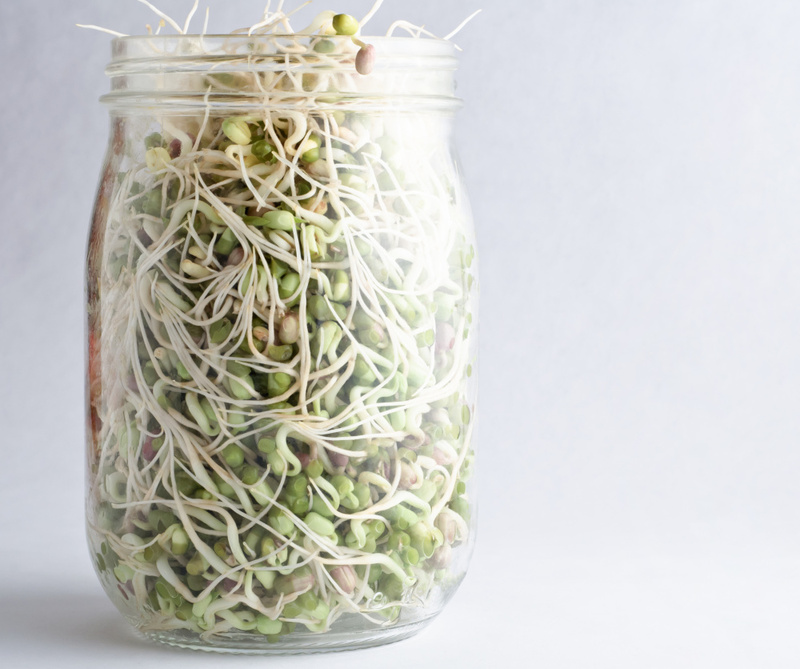 Once the sprouts have formed, you can bring them (especially alfalfa sprouts) out to brighter light so they green up. During the last rinse, fill the jar and shake it so the seed hulls fall off. Let most of the moisture dry off the sprouts, then put them in the refrigerator in a closed container and enjoy eating them over the next week. Wash and sterilize the jar and start the process all over again for your next batch. I haven’t seen edible seeds for sale at local stores, but you can order them from Pinetree Garden Seeds in New Gloucester, Johnny’s Selected Seeds in Winslow, as well as the aforementioned Kitchen Garden Seeds.